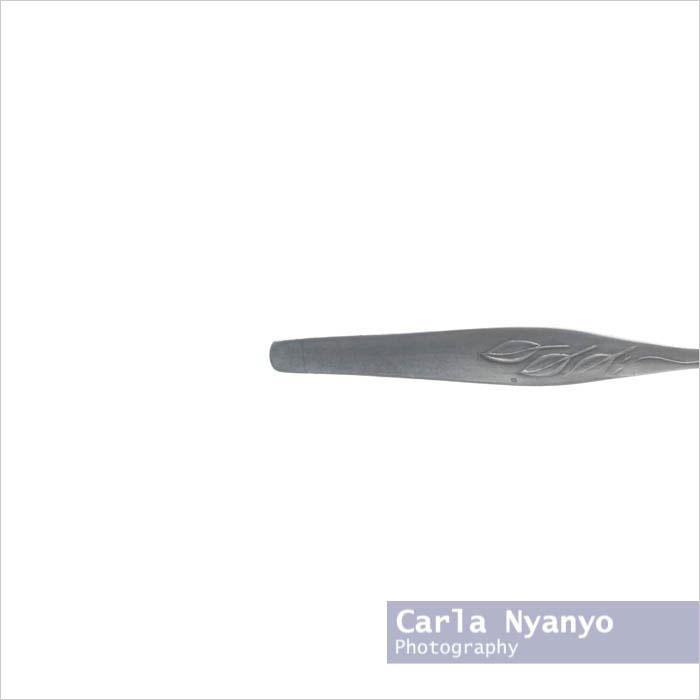 My initial thoughts for the look of the images was to photograph the objects against a clean, white background. So this is what I did for my first shoot in the studio. Safe to say this background is extremely white and actually, I'm not to sure about. To me the images feel cold which is opposite to the way I feel when I use them. Something that a few people mentioned at my assessment was how the sheet I used to photograph them against at home might work as the background because it reminded them of a table cloth. And this is why I love group tutorials and assessments because that's not even something that had crossed my mind at this point. So for my second shoot, which I did a couple of days after this one and shall be posting about later this week, I borrowed a proper table cloth from one of my tutors to get a feel for what a patterned background might look like.